A year ago, Lavina Venance would have been dubious if you had told her she would now have her own vegetable business. But thanks to Winrock International and the USAID-funded Integrated Water, Sanitation, and Hygiene (iWASH) Program, this young mother of two in Bwage, Tanzania, is becoming a successful entrepreneur. 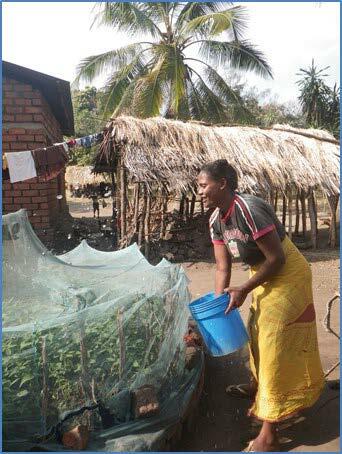 Before the iWASH Program, gardening and other water-dependent activities were nearly impossible for the people of her village. The nearest reliable water source, over a mile away, yielded polluted water contaminated with waterborne diseases, and villagers had to transport the water in jerry cans on their bicycles. 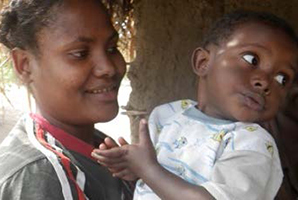 Lavina’s water supply was limited to her growing family’s most basic domestic needs. Then there was a problem of earning a living. 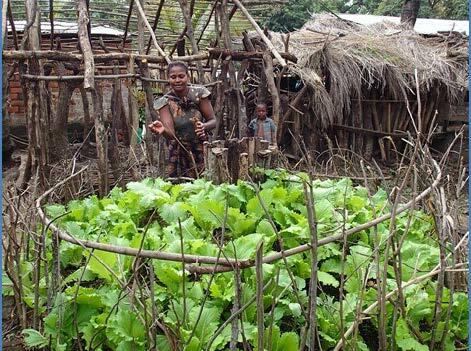 Since migrating to the village of Bwage from Kilimanjaro in 2007, Lavina and her husband, Sevarina, had actively searched for alternative income sources. They experimented with growing Kilimanjaro type crops like coffee and bananas, but these were not successful in their new setting. To survive, they began growing maize, paddy rice, and cowpeas, like the locals. “We really struggled to make a living in those early years and felt as though we had exhausted all the alternative options available,” said Lavina. Currently, Lavina is scaling up vegetable production to satisfy local demand. She and Sevarina are aware that sales are likely to increase, given the proximity of their home to a new highway that is scheduled to pass through the village. “We are more experienced now and have a better idea of what we are doing, so productivity in the garden is increasing. Adding the second garden will obviously also be another big boost to production,” she says.